Stumagz, Gayam Motor Works and H Bots bagged awards under various categories, sharing stage with notable startups such as Swiggy and Oyo. 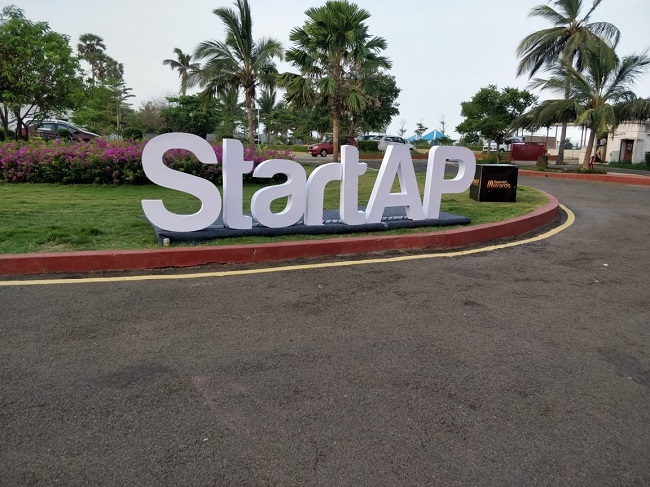 Andhra Pradesh-based startup ecosystem player StartAP organized its first annual StartAP Awards in Visakhapatnam on Friday to recognize promising startups, ecosystem players and entrepreneurs. Three Hyderabad-based T-Hub startups Stumagz, Gayam Motor Works and H Bots bagged awards under different categories. 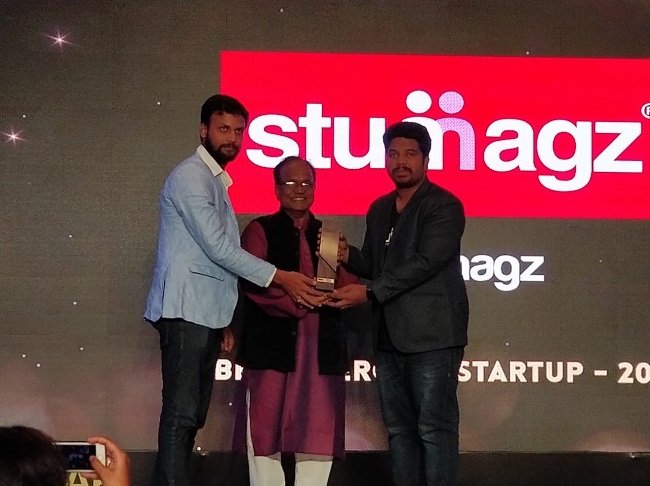 Stumagz was awarded the best emerging startup. Founded by Frederick Devarampati and Sri Charan Lakkaraju in 2015, Stumagz is a digital campus communications and collaboration platform for colleges and other educational institutions. This digital campus ecosystem currently has over 300 colleges subscribed to its free version. It recently also launched a premium version where it wants to digitize the entire the entire campus. Both Frederick and Charan were recently featured in the Forbes 30 Under 30 Asia 2018 list. Electric vehicle startup Gayam Motor Works bagged the clean-tech startup award. GMW has developed the world’s first electric autorickshaw, which has a running cost of only Rs 0.50/km, as against diesel rickshaws which have a running cost of Rs 3.5/km. These smart autos come with Li-Ion battery and a proprietary battery technology and management system. They also developed electric bikes, which come with different levels of pedal assistance to give you a push and a throttle on the right handle, which can take you from 0-25 kmph in five seconds. Founded by Rahul Gayam and his brother Raja Gayam, GMW has clients such as Uber, BigBasket, Flipkart, Grofers, Gati, Chittoor Police, GVMC, Govt of AP and Telangana and Central American Police. It has also exported its e-autos and e-bikes to 15 countries, including the US and markets in Africa, Asia, Central America, and Europe, apart from selling them in India. Rahul also recently featured in the Forbes 30 Under 30 Asia 2018 list. The third T-Hub startup to win at the StartAP awards is H Bots, which bagged the innovation award. Robotics startup H-Bots has developed a smart policing robot called Robocops which can perform functions such as allowing people to lodge complaints, detect bombs and alert the nearest local police station, Robocop can then recognize and spot them. Founded by Kisshhan PSV, H-Bots has recently signed an agreement to deploy Robocops to the Hyderabad Police. It has also expanded its base to other countries including Romania. Apart from a smart policing robot, it is also working on building more user-friendly humanoids that can be used across industries. One such humanoid is for the agricultural sector that can help sow seeds and one for the healthcare industry to assist visitors of a hospital. 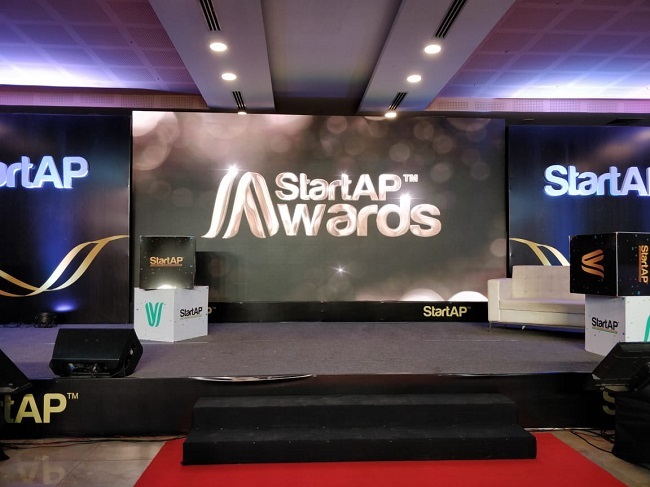 The startAP awards also saw some notable entrepreneurs and startups being awarded. Swiggy was awarded startup of the year. Oyo founder Ritesh Agarwal bagged the best entrepreneur of the year and Business excellence award was given to Lakshmi Potluri, co-founder of Jabong India.